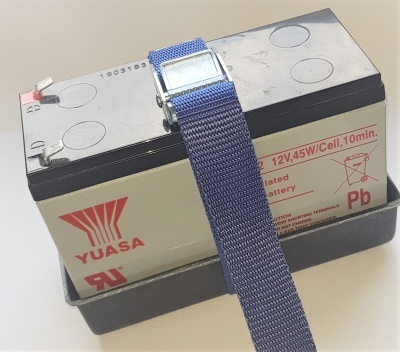 Battery holder for the installation of batteries in the fuselage. The holder should be bolted in to the fuselage - often on the shelf behind the cockpit in most glider types. The battery is held securely in the mount by the clamps. Includes our Yuasa 8.5Ah Lead Acid, Ultralife 7Ah LiFePO4, pbq 10Ah LiFePO4 batteries. 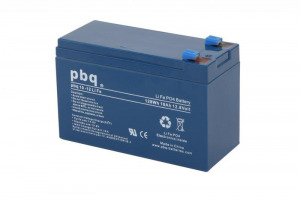 Includes our 12Ah Panasonic Lead Acid, pbq 15Ah LiFePO4 batteries. For mounting two of the standard size format - side by side - in a single mount.